Is this in the process of being "Optimized"? @MacDaddy385 @PVaddi Can you answer the question on the Backup and Sync pop-up. I got similar pop-ups one time on games and within a month I lost the games because they were 32 bit. When is Webroot going to update Backup and Sync to 64 bit? Webroot had to have know in advance before Mojave was released that the software was changing. 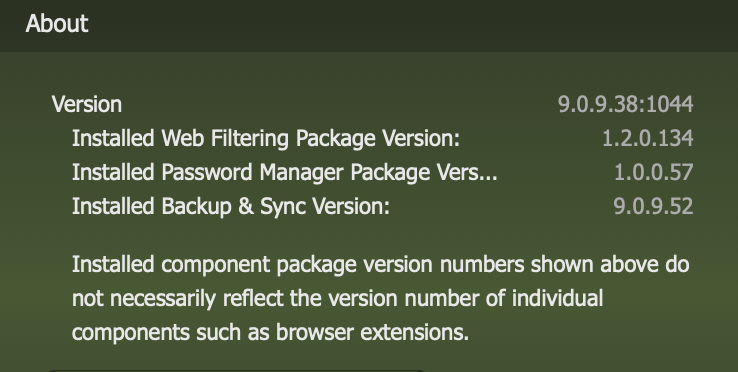 We are aware of the upcoming macOS requirements for 64 bit apps and are working to release an updated version of our Backup & Sync component to meet those requirements. We do not have a release date determined, but our plans do include a Backup and Sync release before the new requirements are enforced. Thank you for raising this issue and please stand by for more information as we have it.